My professional online presence started in 2009 when I was pursuing my engineering degree. I love working online, so much, that I run a slew of websites. With all my experience and expertise I have acquired over this period, I now head a very productive team which is doing excellent in all the Seo and other web marketing jobs we take up. If you got any business idea bubbling in your mind and you feel like needing marketing assistance, we will be more than happy to tag along. Google has rolled out a broad core algorithm update on 1st of August, 2018. Most of the websites have been hit by August update and trends can be seen on SEO Forums. With the info from the Google, this specific core algorithm set to provide a better search experience to their end users. If you had not prepared for the Google next update i.e. Mobile speed update which will impact ranking only on Mobile devices, then your website traffic is going to suffer. Earlier, Desktop ranking was a primary source of ranking for mobile devices which has been changed to Mobile now. This algorithm will start to roll out from the first week of July, 2018. What is Character limit for Google New Meta Description? Earlier, Google has double its characters limits from 160 to 320. It has been rolled back to 160 characters which can be seen in Google SERP. Meta Description does not play any role in SEO and its not a ranking factors. But it provides an overview of what the content is meant for. A well written Meta description can increase CTR which in turn can improve the ranking against the keywords. [Read more…] about What is Character limit for Google New Meta Description? iOS on an Android machines, a new tomfoolery/buffoonery ragging on the internet. Off late, I encountered with some deluding videos on the Youtube, claiming to port iOS on Android devices. I checked extensively for the validation of this theory and to no surprise, I concluded finding it to be an utter fail. So I request you all to not fall for these gimmicks and waste your precious time. Step 1: Download iOS Launcher from any of the Android App Stores. Step 2: Run this launcher and get a new iOS look forthwith. The previous default launcher still holds up there, making it an option for you to pick of the two, time and again. Well, it will come to no surprise to see Ubuntu driving the Tablets PCs very soon. 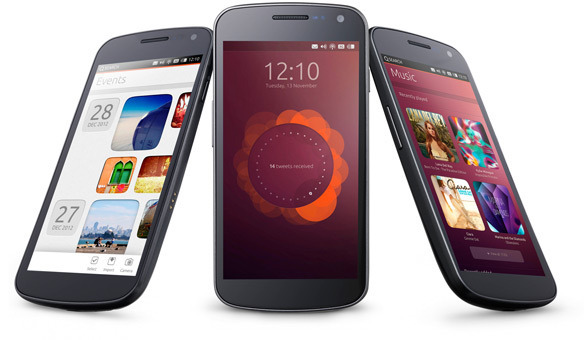 Already the Ubuntu for phones is out and is gaining explosive popularity. Then why not tablets now? Mr. Mark Shuttleworth, founder of Ubuntu has been already inkling about the possibilities of Ubuntu phones and tablets for long now. By this, the idea is to make Ubuntu more popular and acquainted to the masses so that they could flourish their OS on bigger machines with ease. The founder, Mr. Shuttleworth wrote on his blog recently that in 2013, the Unity will all be about mobiles and tablets. This shall cement the speculations of Ubuntu Tablets being launched this year. But still there is no authentic news about the Ubuntu hardware and the smartphone tables. 1) Ubuntu Personal Cloud: This caters the one feature which makes a data available simultaneously on many registered devices. For instance, you had clicked a picture on your phone; it will also flash on your tablet instantly. 2) Swipe to Switch: Switching between applications that too with no latency will be the highlight. Various swipe patterns will guide the users through all the Apps running on the tablet. This shall make an efficient “multi tasking” device. 3) Messages, emails, phone calls all to be read/received and replied at any juncture of time, while using any of the Apps without exiting. 4) K.I.S.S: Keep It Simple Silly is something Ubuntu would be trying with the help of their simple but elegant ecosystem of applications. 5) Battery usage is presumed to be low in comparison to the other canonical cousins in the tablet market, since the Ubuntu is much optimized and is a light weight OS. Swipe to Switch” seems to be the brand-slogan for Ubuntu powered phones with their newest releases. Instant switching amongst running Apps with almost no lagging has made possible, an ultimate multitasking experience in the phones. With lesser botched screens, the credit goes to the Ubuntu OS for phones. Ubuntu phones can also be as good stepping stone for Ubuntu tablets and days are not far when Ubuntu will hit the tablet market and become the Tablet Guru. 1) Left edge to Right edge: This very swipe reveals all the Apps favorite to you. Select any one of them and you will find yourself immersed in that App, within a blink of an eye. You don’t really have to wait for one App to close down and then browse for another App you wish to load. 2) Right edge to Left edge: With every time you perform this swipe across the screen, you will switch yourself to the App running before the current App. You keep swiping in this fashion and the switching of Apps will continue, flashing all the previously active Apps in a specific order. 3) Swipe up from the Bottom edge: Pull-ups the control-options of an App. This way only the content captures the screen and controls come and go only when the user swipes for it. 1) Blistering fast searches made and the search-results have the contents not just from your phone storage but also all from the internet in an adorned manner. 2) A very simple but elegant personalized Welcome Screen gives you a feeling to connect with your phone. The smooth appearance and performance of your phone will make you fall in love with it before you realize. 3) With all this switching-instantly maneuvers, the objective of keeping the appearance a lot cleaner than the others in race, has become easier for the OS. The clean and crisp environment doesn’t bother you to go for more and more usage, rather you will love it. 4) One New Message: Just swipe down from the top edge and don’t keep your dear ones waiting, just reply, on the fly! Same arrangement is for all, be it your mailbox, Facebook messenger, or even a voice call. To sum up, we can say, after having Ubuntu in a phone, you can do more than what you can imagine. Simply, it makes an ordinary looking phone into a super features-laden, Super-phone.